So, I have just started an AMAZING work placement with Tatty devine and I am located in the middle of the London hub that is Shoreditch. What an amazing place. During my lunch breaks I have been going for little wanders up and down brick lane and have been discovering some truly wonderful shops! 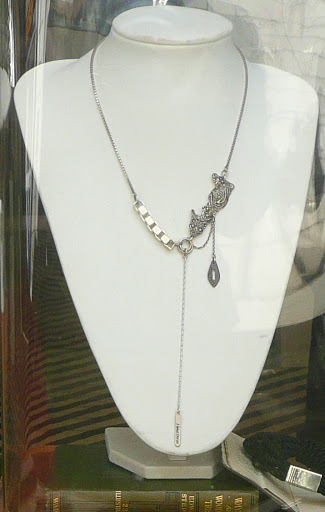 There is just something about brick lane and the amazing ability of the visual merchandisers, simply awe inspiring. One of the best shops I have found is called Luna and Curious, these beautiful vintage inspired brooches which remind me of 50’s fashion illustrations were one f the best products in store. They sell all different types of great gifts and “curios” as the name aptly suggests. street (off brick lane) demonstrates. There is also a fabulous range of vintage shops up and down brick lane, which over the next few days I will try and profile. 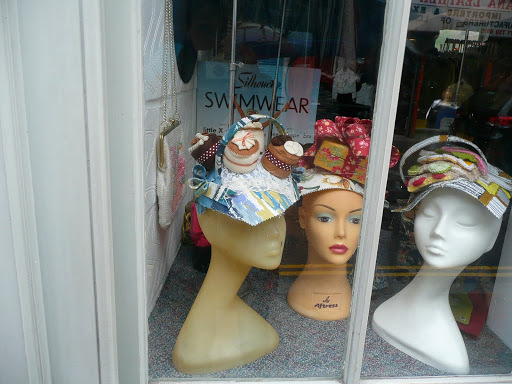 “ this shop rocks” has a wonderful variety of products (ignore the ridiculous name, the stock is pretty excellent) Here they sell a range of products including beautiful handcrafted hats (see picture) inside they have loads of cabinets with beautiful vintage accsessories, mostly dating to the 50’s. The shop even has a beautiful antique pram which really sets off the whole shop. The price is high although not overly so, for example a 50’s circle skirt costs around £50. This wooden shop (which doesn’t seem to have a name, its right on the corner by Bethnal green roads) Sells mostly 80’s clothing (totally not my thing) but has a few rare beautiful gems. 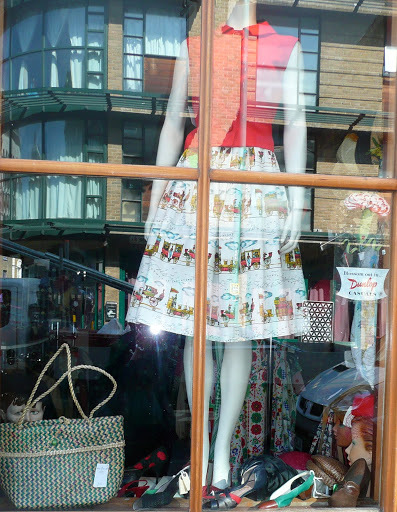 Until Wednesday this truly amazing 50’s printed skirt was in the window, really capturing a true British spirit and very reasonably priced at £45. 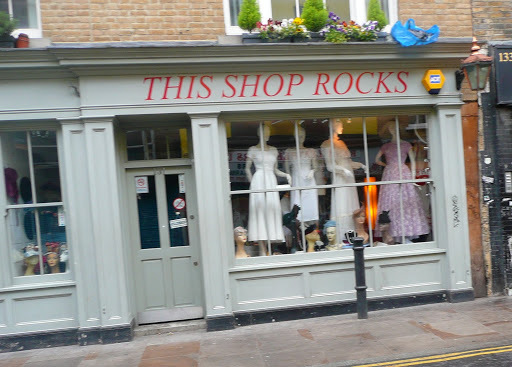 There are also plenty of beautiful different modern clothing stores in Shoreditch. 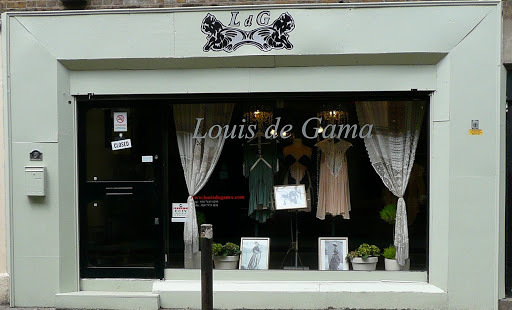 My favourite that I have found so far is Louis de Gama which sells an amazing variety of vintage inspired garments, the store also has really inspiring beautiful antique imagery in the windows which really offsets the fabulous clothing to perfection. The photos were great as I felt like I'd been strolling along the streets window-shopping with you – even though I'm still here in North Carolina, USA. 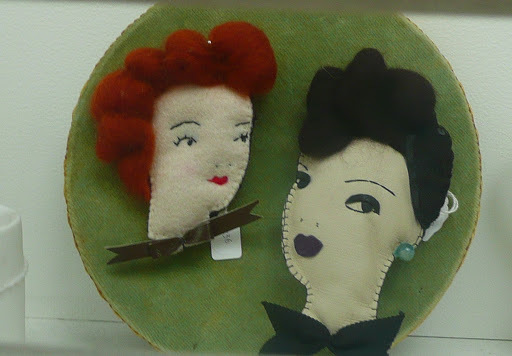 The vintage lady brooches are lovely. I like your train of thought.